Feed stops: 1 food stop (used twice) with toilets, extra stop on the long route. Roads: Mixture of country lanes, cycle paths, and more main roads. Goody bag: Black Rat glass and cider, & Cornish pasty (meat or cheese). 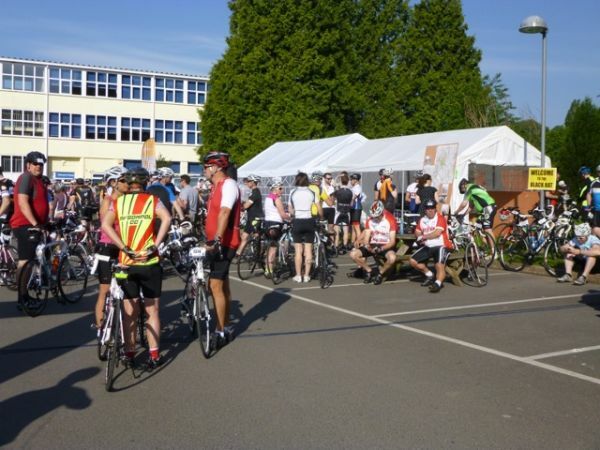 I've done the Black Rat Cyclosportive before, at least once. However, this year they'd totally changed the route so I decided to do it again. That and because my Dad was doing it too, and he lives just up the road from the start! The weather forecast had been fabulous, and the views from the window, over the Severn where we would later be riding, were gorgeous; but it's not until you get outside that you really get a feel for what it's like out there. I was in shorts, leg warmers, short sleeve jersey, arm warmers and gilet, and it became obvious very quickly, going instantly up hill, that that was going to be more than sufficient. Timing today was by Stuweb, which involved one of my less favourite forms of tag - the great big one stuck around your seat post - which is where the Tardis otherwise known as my saddle bag sits on my diddy frame. As it turns out, it worked just fine. 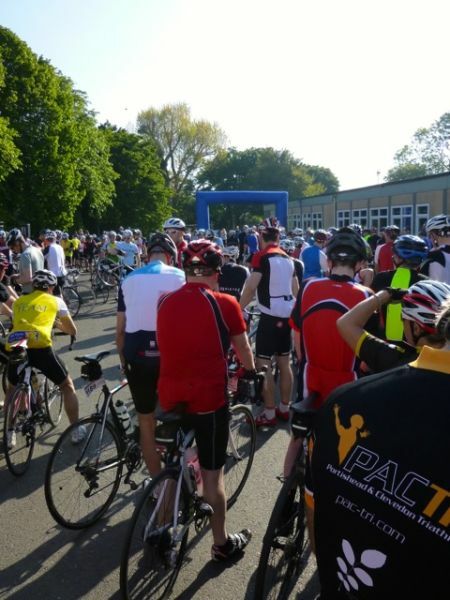 Back at the start line there was a short rider briefing, which I couldn't really see but at least could hear him over the PA system, and then we all gradually, gingerly rolled on our way, a bit ahead of schedule. This bit at least was fairly familiar turf, thanks to riding with Dad and various other events. As we headed out of the Gordano valley the route briefly threatened to take us straight up Naish Hill, which would have been a fairly rude awakening for the legs. Luckily we went left, down the narrow country lanes instead, where I lost Dad amongst the rider traffic. I tried to hang back for quite a while, but as we climbed up from Portbury and all found our own rhythm, it became time to just get on with it really. 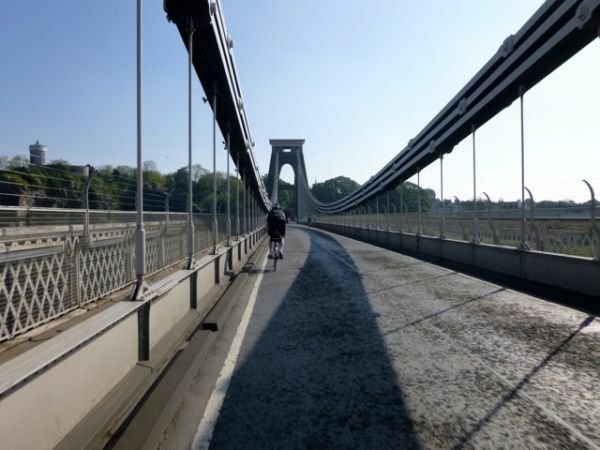 Once at the top there was a nice fast section along past Failand and then past Redwood Lodge, which gave me chance to stretch out my legs my way - fast and flat - and also brought us to one of the Bridges of the day, and one of the two main highlights: Mr Brunel's Clifton Suspension Bridge. 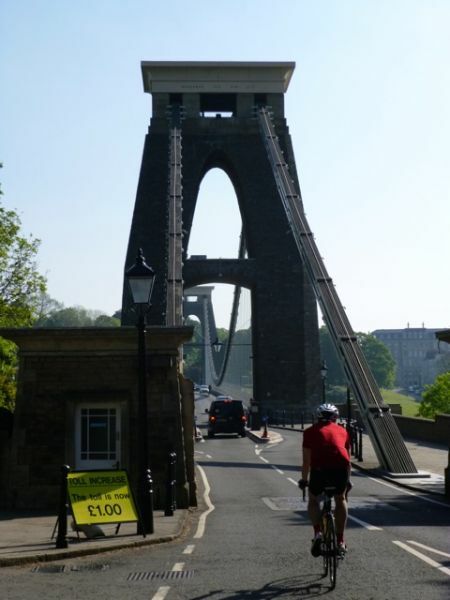 The toll to cross is now Â£1.00 but cyclists don't pay, and it was lovely to cycle across it, over the Avon Gorge, admiring the views and a still sleepy Bristol. It was equally pleasant to cycle around the Clifton downs, amongst the shady trees, past the exorbitantly expensive houses, and admire yet more views from on high. But we couldn't stay there forever, and after a brief confusion amidst road works, traffic lights, a lack of obvious signs, and a little u-turning, we were heading out of Bristol through Stoke Bishop, past the Blaise Castle Estate, and back to the countryside.